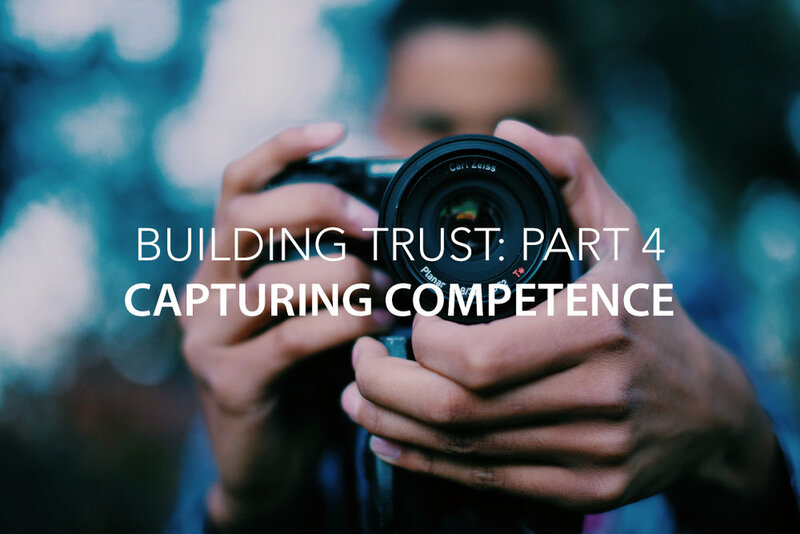 This is the fourth post in our series on building trust. If you would like to start at the beginning, read the first post on communication here. We all have expectations of ourselves and others which fall into one or more of the following categories: communication, character, concern, competence, connectedness, and consistency. Trust is built when we prove reliable by meeting others' expectations in these areas. Competence is primarily concerned with an individual’s or organization’s capacity to perform a task or role with an acceptable level of proficiency. Sometimes people start in a position or role where they initially have the necessary competence to succeed. However, influences such as organizational growth, reduced personal energy level, personal problems, or cultural shifts can ultimately result in a decline in proficiency. When people’s expectations regarding an organization’s or individual’s performance are not met, trust or confidence in that individual or organization can decline. But, when people are perceived to be acting competently within their role, they are more likely to be viewed as trustworthy and are often granted greater credibility and opportunities to acquire positions of influence. However, many people are not aware of how others perceive them. If someone does not know how they are perceived, they will have no idea if their performance is poor, sufficient, or even exceptional. In cases of poor competence, the individual may not even realize that they are not measuring up. We need to continually seek feedback on how others perceive we are performing. We must always be sharpening our professional skills and learning new ones. We need to be honest with ourselves and acknowledge when we are no longer adequately gifted for a particular position or role. Displaying such honesty and actions may encourage others to do the same and can lead to new levels of trust. Do you personally demonstrate follow through and produce positive results? How do you know? Does your organization demonstrate follow through and produce positive results? How do you know?